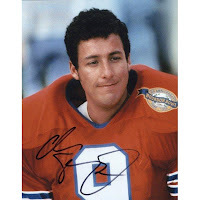 Adam Sandler was playing backup quarterback for the Cowboys - he quickly hurt his arm, which was good because their regular backup guy was pretty jealous that some lamebrain actor could just walk on and take his job as a publicity stunt. To Adams' credit, he was taking the job seriously and had really progressed and done an admirable job learning his role and developing his skills. Then the kid who played AJ in the Sopranos was about 3 years old,and took his car for a joyride. He played a trick on a cop and was able to get away by stealing an old red pickup. It was in some crazy muddy, hilly place in the middle of New Jersey. Then it was my brother Ruben and me in that stolen red pickup and we were in San Antonio/Houston combined trying to get home. We drove through a drainage ditch to get away. We were in some really dirty, poor neighborhoods and driving in reverse until we got to the freeway. We drove way out of town then got back on course. At first Ruben had to make a doctors appointment, but then it was actually an appointment to spray someones house for bugs, or treat their swimming pool with chemicals, I forget which. San Antonio/ Houston had about 90 loops running around the city, kinda like a topographic map.Then we were interviewing a former prison gang guy about personal fitness. Then we were at the prison watching the electoral process - a debate between 'Gabriel' and some other guy trying to be head honcho among the Latino prison gang. Tony Danza supported Gabriel, as well as some old prisoner. Mr. Jefferson liked the other guy, who looked a lot more rugged than Gabriel. 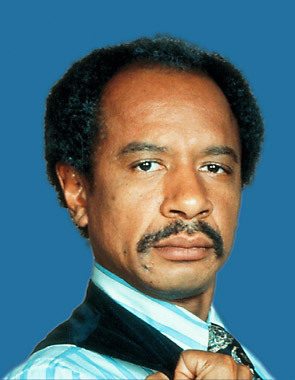 I figured if Mr. Jefferson liked him he had to be the obvious choice, even though I had no idea what his name was. I'm going back to sleep now.